Another Hurricane Is on its Way. 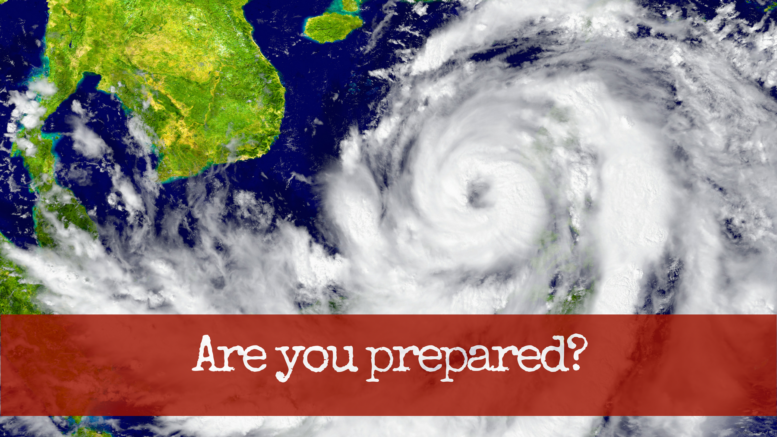 Is Your Military Family Prepared? One of the most potentially damaging storms in history is projected to hit this weekend, and if that’s not enough, we still have two more months of hurricane season. Are you prepared? I sat in a classroom in Emmitsburg, Maryland, in a crash course of all things disaster response. It was 2005, and Hurricane Katrina had just made landfall. Working for Homeland Security at the time, I’d been surged to FEMA to help with the response in Louisiana. The few days before deploying to the hurricane response were a blur, but one line, in one lesson, is forever etched in memory. The instructor paced the overcrowded classroom, came to a stop, looked down at his hands, and in a quiet voice asked, “What’s the most dangerous element of a hurricane?” The group shouted answers, from tornadoes to floods, lighting to wind, downed power lines to rogue alligators.